I'm pretty excited because in just a few weeks, my family and I are taking our first long road trip since we started our family. 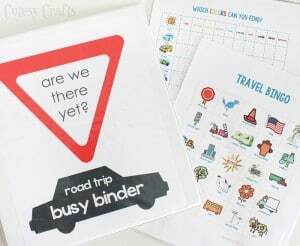 With a 7 and 3 year old, I've been personally brainstorming, searching on Pinterest and asking other bloggers for ideas to survive a long road trip with our young kids. 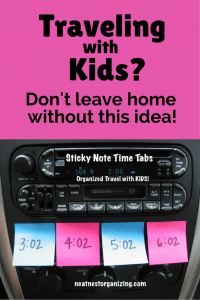 Here is what I have come up as a plan to not just survive, but thrive during our long road trip with young kids! 2. 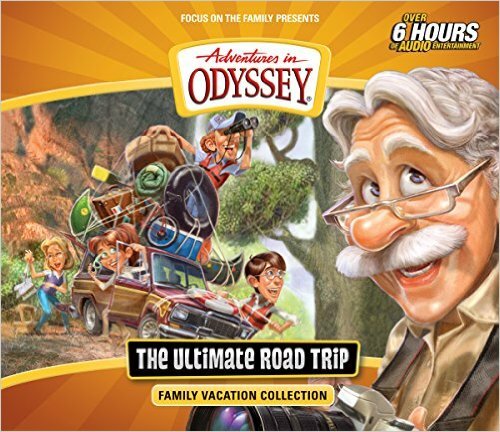 Get a DVD that is educational or that related to your trip. Since part of our trip will be visiting Chincoteague Island off of the coast of Maryland, I ordered the Misty DVD for the girls to watch in the car. We are currently reading the paperback version Misty of Chincoteague as a family at meal time before we leave for our trip. 3. 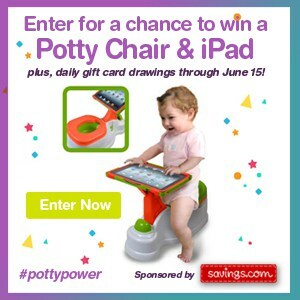 Bring along your favorite kid friendly electronic devices. 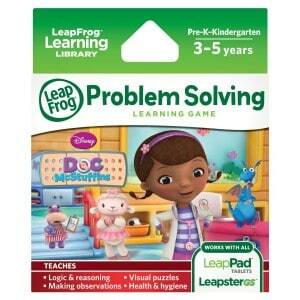 I'm going to find a few new kids apps to add to our Samsung tablet. I'm also packing my kids favorite LeapFrog toys like our Tag Reader, Tag Headphones, Tag Reader Books, and LeapFrog Leapster Explorer Learning Game System. 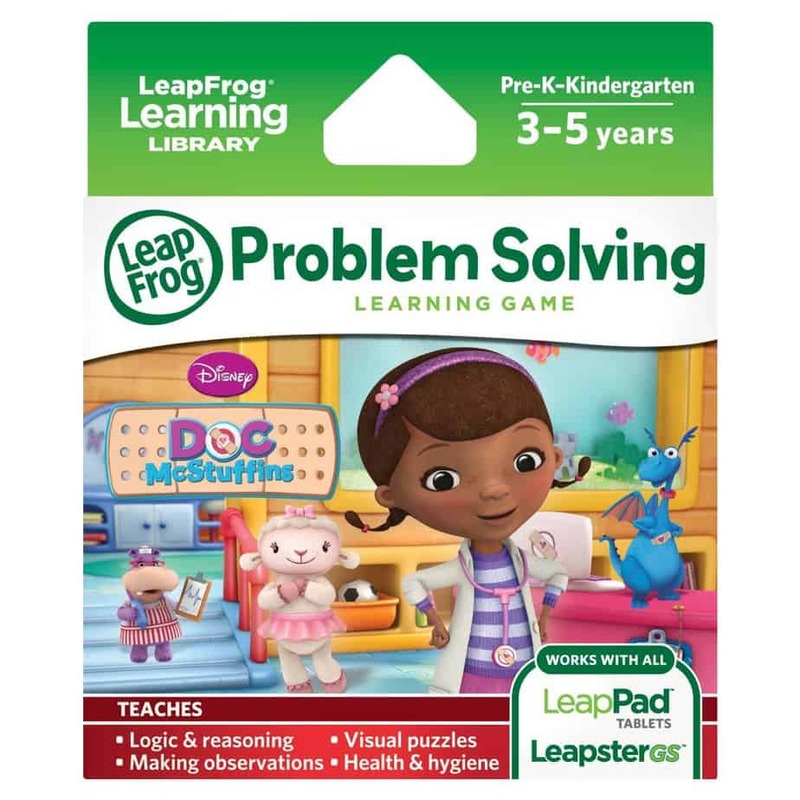 In fact, my oldest is getting LeapFrog Disney Doc McStuffins Learning Game for her birthday next week - perfect timing for an upcoming road trip. 4. Bring a porta potty for your car! 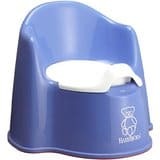 I'm also bringing our porta potty since my 3 year old is still in potty training stage. I'd much rather have this in our car, rather than have to stop in an icky gas station bathroom. Don't forget to bring your own TP - try Charmin Essentials Soft - perfect softness for younger bums. :) You can get 36 giant rolls for $16.99 right now on Amazon. That's just $0.47 per roll!! 5. 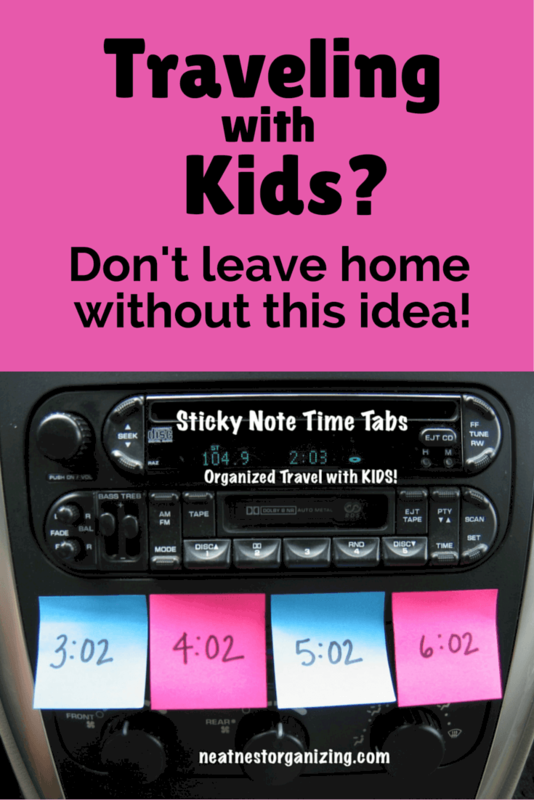 I love this idea from Neat Nest Organizing to use sticky notes to put on the radio. Whenever this time comes about, the kids get to choose a new dollar store toy to keep them buys. 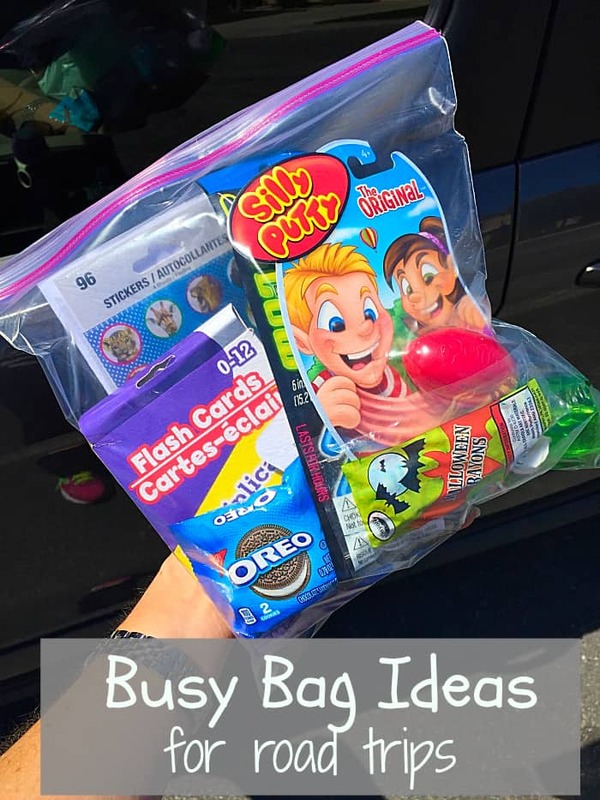 Read this post: Organized Travel with Kids, for all of the details. 6. 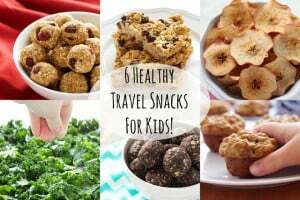 If you don't want to spend money at the drive through - or you want to be sure to have healthy snacks - then check out these 6 Healthy Travel Snacks for Kids - from The Busy Baker. 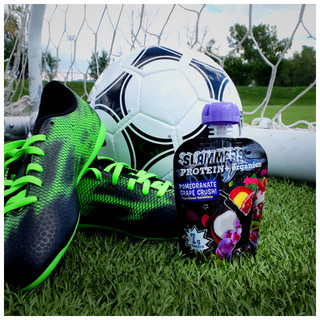 If you are looking for a healthy beverage - you should try Drazil Kids Tea! Drazil Kids Tea is a juice box drink, made with all-natural fruit juice and blended with naturally caffeine-free herbal tea. Flavors include Punch Passion, Grape Bliss, Tropical Burst and Yummy Berry. 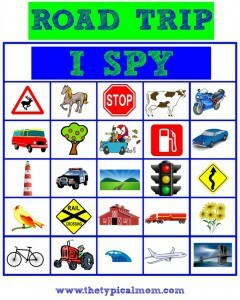 My 7 year old raves about this stuff!!!!! Perfect for a drink on the go! We are also a fan of Barbara's Cheese Puffs - they taste like real cheese and not fake orange yucky cheese powder like the "normal" cheese puffs! You can't go wrong with Good Health Snacks - with their sweet potato kettle style chips being my personal favorite! 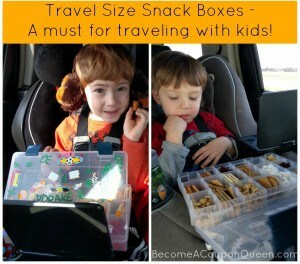 They offers a variety of kid-friendly travel snacks in single-serving bags that are all perfect for traveling!! Bare Snacks are a line of snacks that are made from freshly picked whole fruit that’s simply baked, never fried, with nothing artificial and no preservatives. 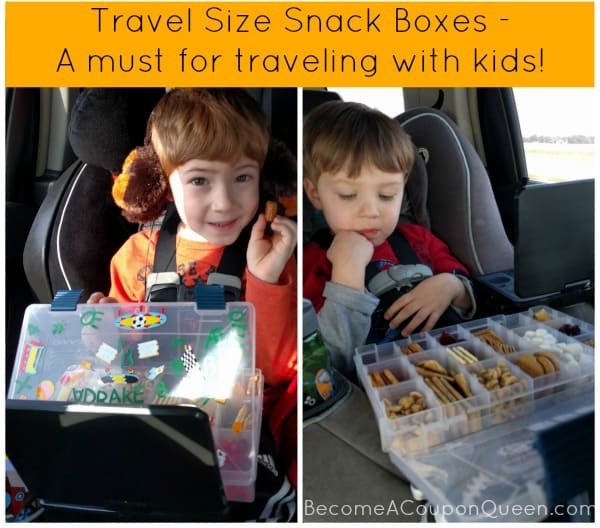 These snacks are made with real fruit and no added sugar, which will help keep the energy levels at an appropriate level on long car trips or flights. Flavors and varieties include bare Apple Chips (my personal favorite), bare Coconut Chips and bare Banana Chips. Slammers Snack: Tasty, superfood greek yogurt snacks designed to fuel kids with organic fruits and vegetables. These snacks are a portable, healthy alternative to candy, and can be enjoyed frozen, cold, or at room temperature. Great for those all-day adventures, but even better because there are no crumbs! My husband needs one of these too :) I'll fill it with New Zealand Jerky pieces, Jalapeno flavored Barbara's Cheese Puffs and Smokin' Jalepeno White Chedder Popcorners! He's seriously hooked on all three and it's on the grocery list to stock up on these before the trip. 8. 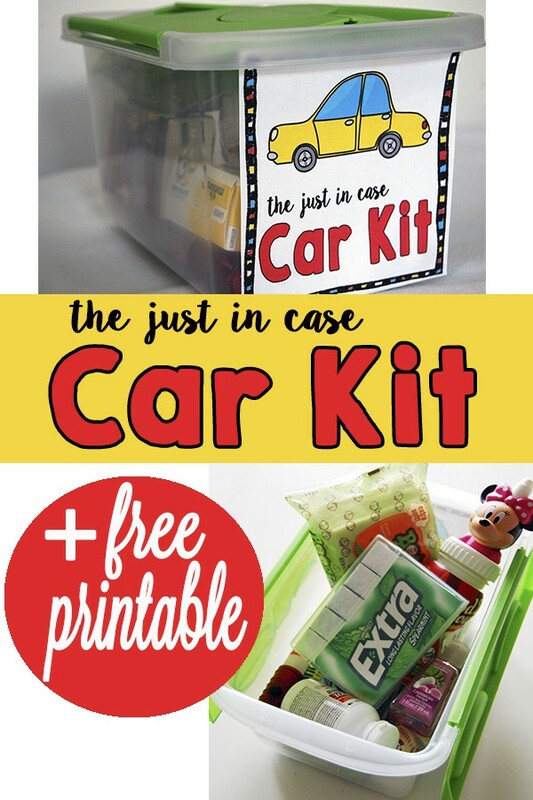 I love the free printable that comes with the Just In Case Car Kit Free Printable - from Mom Explores! 9. Here is a frugal way to keep the kids occupied on a long road trip: Busy Binder with Printable Road Trip Games - from Cutesy Crafts. 10. Don't want to hear "Are we there yet??????" a thousand times on your trip? 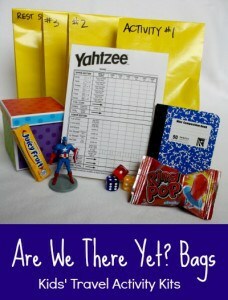 Then try these Are We There Yet Bags - from Frugal Living NW. 11. Here are some more Kids Activities for Long Trips - from My Joy Filled Life. 12. 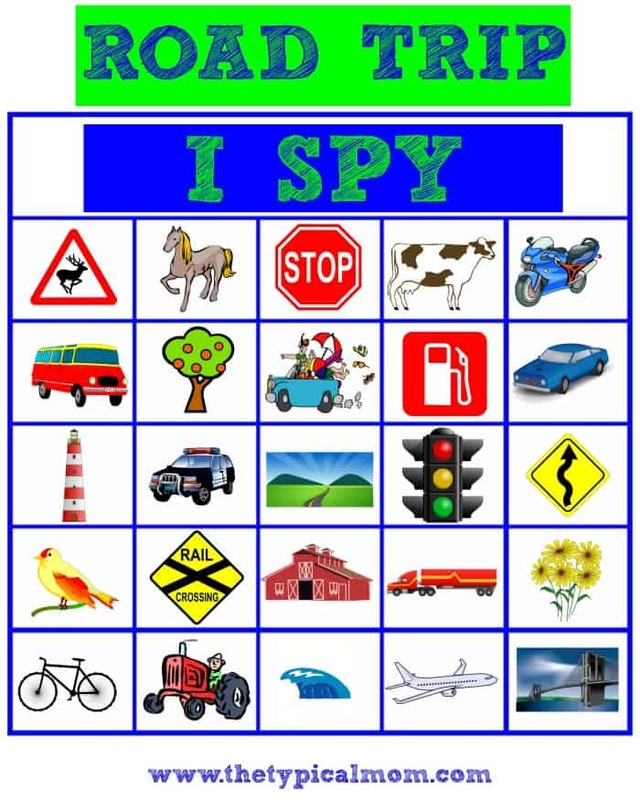 Here is a fun game for the whole family - Road Trip Spy - from The Typical Mom. 13. Here are more ideas for Road Trip Busy Bags - from The Typical Mom. 15. 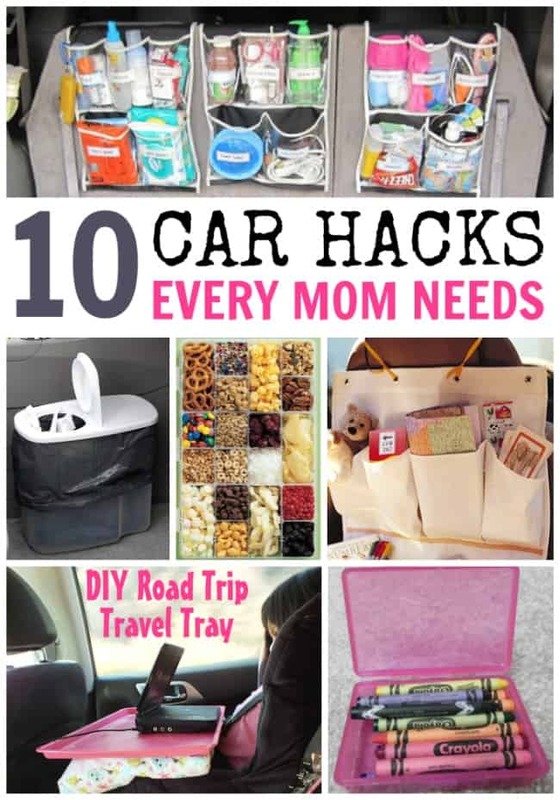 I just love this post on 10 Car Hacks Every Mom Needs to Know! Now I want to hear from you! 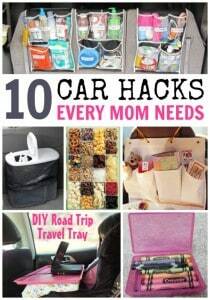 What tips can you share with us on how you survive long road trips with young kids??? 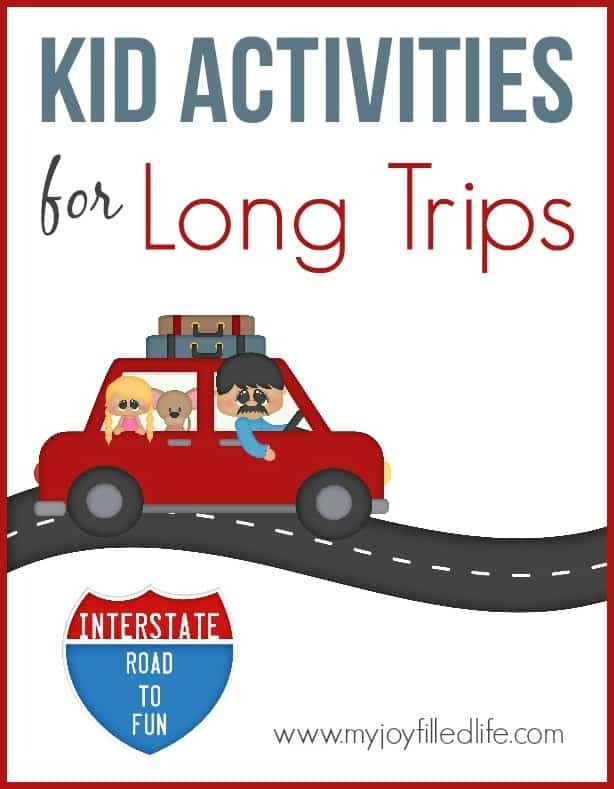 Looking for ways to keep kids busy on a rainy day? 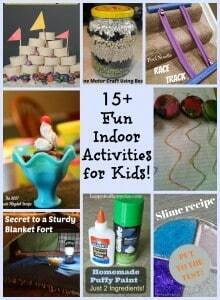 Check out 15+ Fun Indoor Activities for Kids That are Screen Free and Frugal!